Baker’s Drive-Thru debuted its limited-time pumpkin shake last week. The hand-scooped dessert will only be available as long as the ingredient supply holds out, which is expected to be just a few more days. The shake is available in one size, at the bargain price of $2. 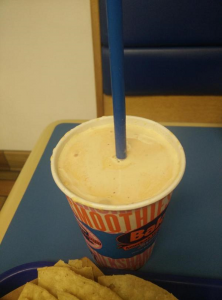 I had a sneak preview of the shake before its unveiling and thought it was delicious, tasting a little like pumpkin pie with whipped cream. 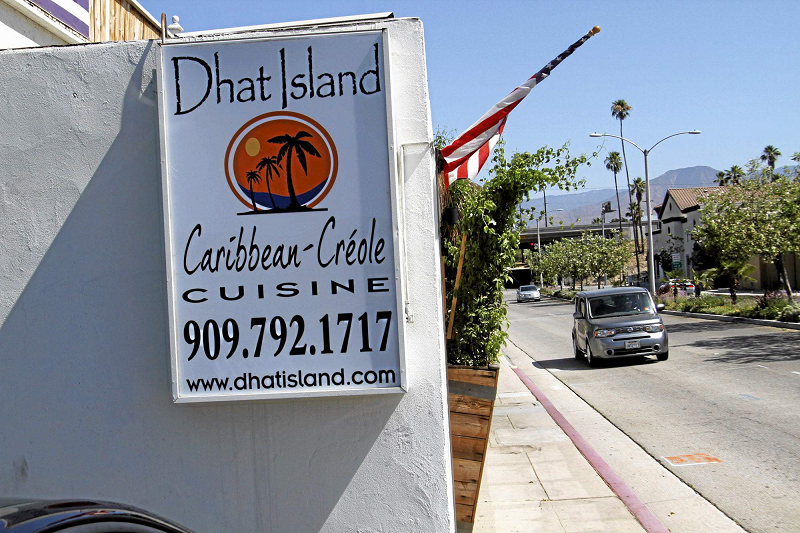 Time has run out for the Carlo and Angela Alcé, owners of Dhat Island in Redlands. 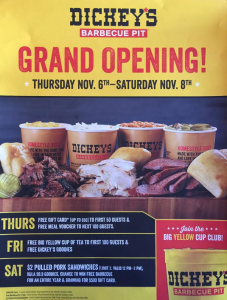 The restaurant will serve its last meal in its current location on Saturday (November 22). 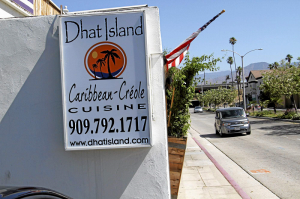 Troubles began back in June, when the property where the restaurant is located was sold. 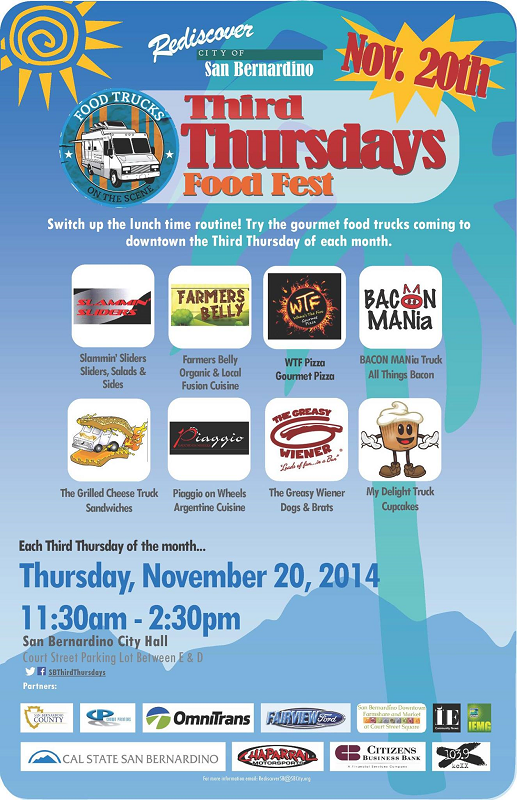 Tomorrow is the third Thursday of the month, and that means the return of food trucks to the City Hall parking lot in downtown San Bernardino. 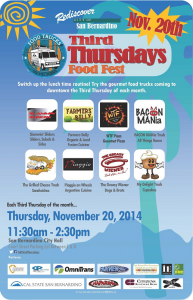 Following the overwhelming success of the inaugural event last month, organizers are bringing even more trucks on board for tomorrow’s lunch (November 20). 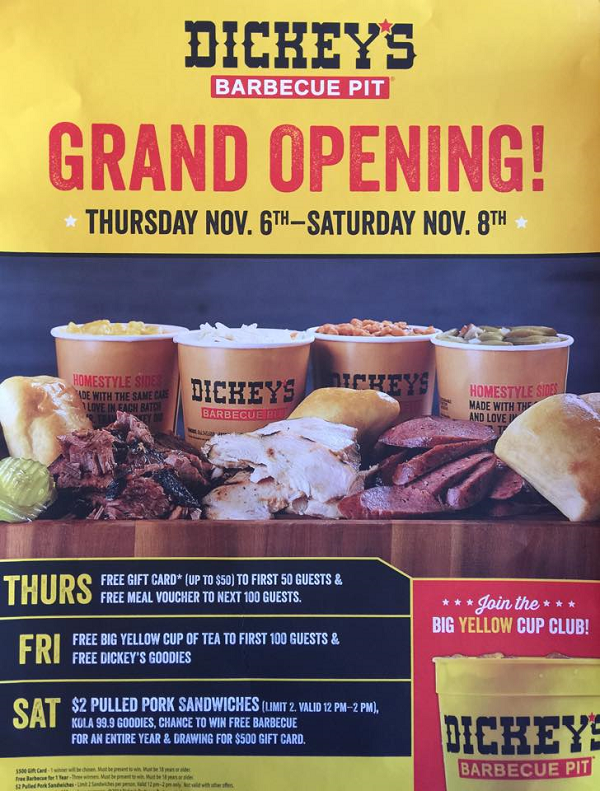 If you remember, long lines were the norm and some attendees ended up at local eateries due to time constraints. Most of the trucks had sold out by the time the event was over. Let’s hope the increased number of trucks will help. Veterans Day is Tuesday (November 11) and, as is tradition, restaurants are rolling out the red carpet for our servicemen and -women by offering deals — including free meals — to veterans and active duty military. Head over the jump for the list.